Get into this week's Champions #1 with a look back at how the team was formed! The world needs heroes and the Champions continue to offer exactly that on an ever-grander scale! With the recent launch of the new CHAMPIONS #1 by Jim Zub and Steven Cummings, the team continues to focus its energies on making the world a better place. As the team expands in both its roster and scope, we're looking back at how this particular group came together for the first time back in 2016! 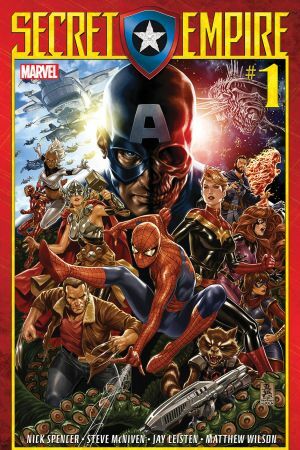 To get into it, we've got to look back to the launch of ALL-NEW, ALL-DIFFERENT AVENGERS in 2016 by Mark Waid and Adam Kubert. 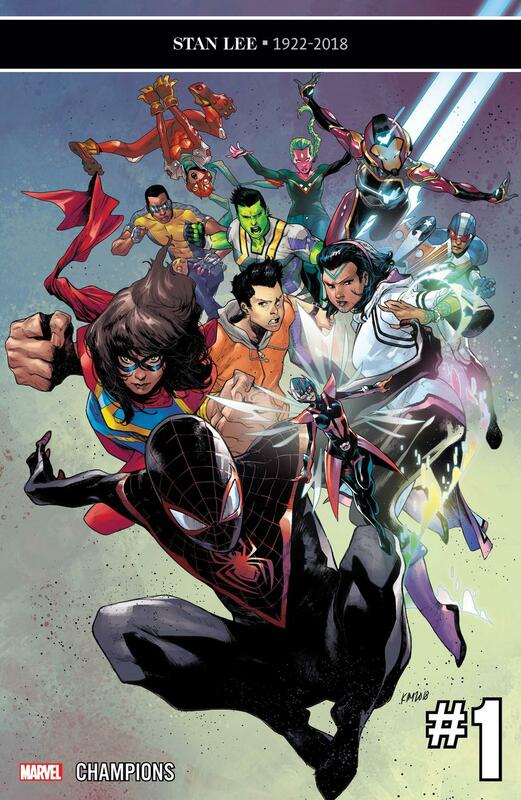 In that series, younger heroes Ms. Marvel, Miles Morales AKA Spider-Man, and Sam Alexander AKA Nova joined up with Jane Foster's Thor, Sam Wilson's Captain America, Vision, and Iron Man. That team faced the interstellar threat of Warbringer, helped shut down the mind-bending S.H.I.E.L.D. super prison Pleasant Hill, and battled Annihilus in space, but couldn't make it through the events of CIVIL WAR II. When the future-seeing Inhuman named Ulysses envisioned Miles Morales killing Captain America, Captain Marvel tried arresting him and his entire team, but Doctor Strange whisked Tony Stark and most of his supporters away to safety. Upon arrival, Ms. Marvel, Nova, a young Cyclops, Riri Williams, and Kate Bishop decided to bounce, find their friend Spider-Man, and keep him safe. 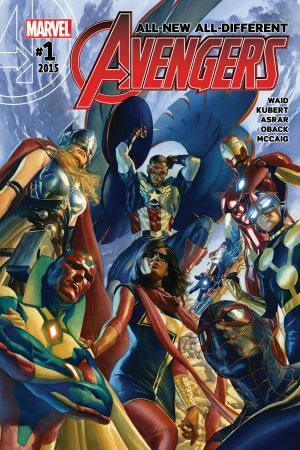 Having seen Captain Marvel beat Iron Man into a coma in the final issue of that series, Ms. Marvel, Nova, and Miles left the Avengers in an attempt to actually do good instead of fighting their friends. That led directly into CHAMPIONS #1 by Mark Waid and Humberto Ramos. In that issue, flashbacks show us that Nova and Spidey left the group first, followed by Ms. Marvel when her grown-up teammates came up with several excuses for why they couldn't help the people whose neighborhood had been destroyed by their latest battle. Those three kids reunited with a simple, but powerful idea from Ms. Marvel: "We can make people believe in what we stand for again." Thinking that other young heroes would want the same thing, they first approached Amadeus Cho, otherwise known as the Totally Awesome Hulk. He agreed and then got them in touch with Viv Vision. The nascent team then flew to Baltimore to take out a criminal called Pagliacci. After stopping Hulk from killing the clown-themed monster, Ms. Marvel gave a rousing speech about believing in the system even though it's far from perfect and focusing on punching up instead of down. She called for a movement, saying, "Help us win the hard way–the right way–not with hate, not with retribution, but with wisdom and hope. Help us become Champions." The message definitely got out there. The time-displaced Cyclops heard it and showed up, while the new teammates worked to get to know each other and their powers. From there, the Champions fought murderers in Sharzad, helped stop a Hydra impostor of Captain America during SECRET EMPIRE, and recently survived a trip to Weirdworld. Along the way, they've also gone through a few roster changes. Cyclops left in issue #18 and has since returned to his own time in EXTERMINATION. Meanwhile, Ironheart, Nadia van Dyne AKA the Wasp, Snowguard, Joaquin Torres' Falcon, Patriot, and Red Locust have joined along the way, as have newcomers Bombshell and Pinpoint in this week's CHAMPIONS #1–which you can buy right now! Here's hoping that, even in the face of huge odds and towering challenges, the Champions continue to display the youthful idealism that truly can change the world! Read these titles and more on Marvel Unlimited! 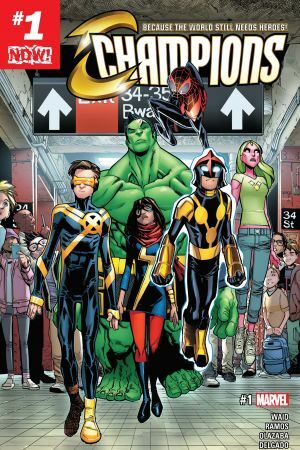 Visit your local comic shop to read CHAMPIONS #1!